EASTERN SUNDAY CLOSING 2pm *** Scroll down for Inventory specials...Listed in order by price......Scroll down for Inventory specials...Listed in order by price. EASTERN SATURDAY CLOSING 2PM!!!! 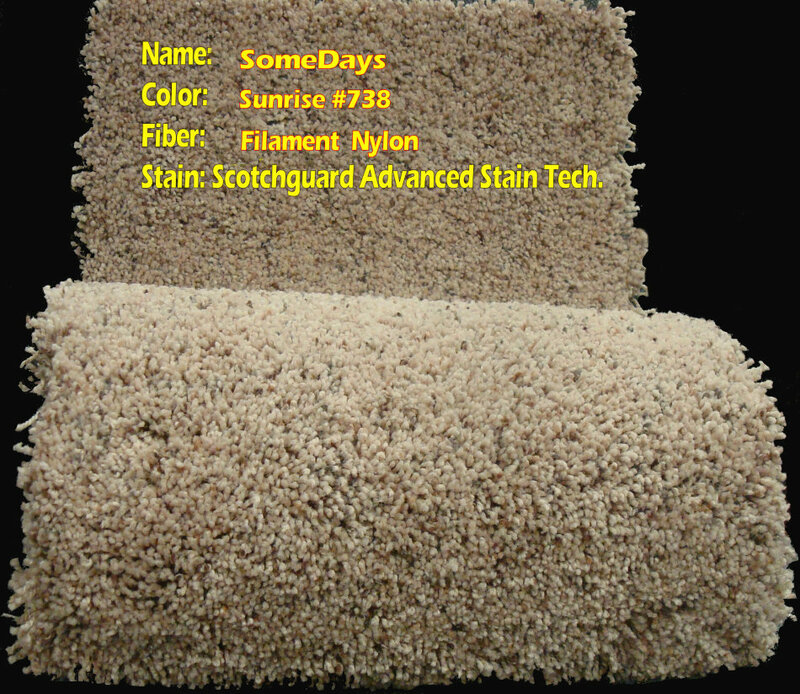 A high Quality soft Nylon plush carpet. Made by Mohawk and designed to hold up in high traffic and comes with ScotchGuard Repel stain protector. Comes with premium backing as well for no extra charge. This is an EXCLUSIVE CARPET VILLA PRICE. We have purchased a truckload for a huge discount that we can pass to you. This carpet is on sale while supplies last. Price includes sales tax, removal of old carpet, new 1/2 6lb pad, vacuuming and power stretch. Installed jobs minimum $650.